Brussels, 6 June 2018 – CICOPA, the international organisation of industrial and service cooperatives, has published today a new “Global Study on Youth Cooperative Entrepreneurship”, as part of its campaign “We own it! The future of work is ours”. 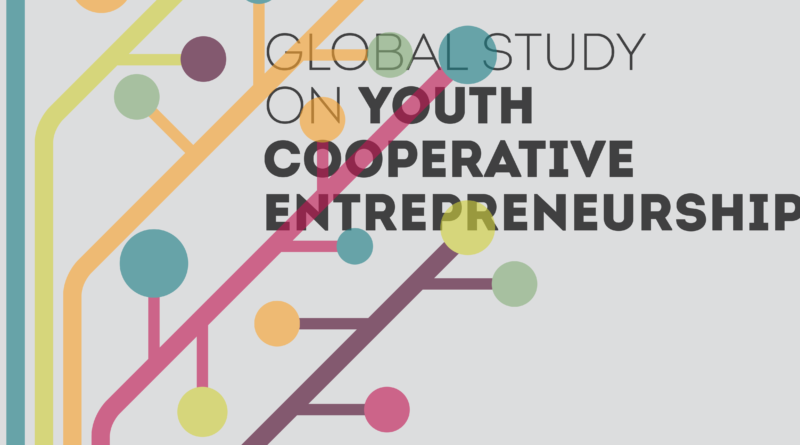 The study is based on desk research and on an online survey involving 64 youth cooperatives in the five continents, and shows how – in a world of work deeply reshaped by demographic changes, globalization, technological innovations and youth unemployment – cooperatives can be a concrete tool in the hands of young people for improving their work and entrepreneurship conditions. The study reveals a quite fresh and dynamic picture of youth cooperatives who took part in the survey. They are primarily active in the service sector, and are highly involved in activities requiring a certain degree of training, specialized knowledge and skills (e.g. telecommunications and information technologies, programming, legal and accounting activities, management, consultancy, research, marketing…). In most cases, they are micro or small-sized enterprises and have reported a positive economic performance and increasing or stable trends in job creation in recent years. They reveal gender equity in management positions and are extremely keen to implement new organizational methods in their business practices (e.g. workplace organisation and governance practices). The global study also shows how cooperatives can play a crucial role in responding to new challenges introduced by recent work and economic transformations affecting new generations. For example, they can “inject” democracy and participation inside the digital economy, by giving ownership and control of power to the people who use and work through on-line platforms. Through their participatory governance, they are a laboratory in the hands of young people for the experimentation of innovative and sustainable forms of work management. However, concludes the study, cooperatives cannot be considered a panacea. Besides the important and increasing involvement coming from the cooperative movement to answer to youth needs, cooperatives are only able to display their full potential if a favorable institutional environment surrounds them. This is particularly true when it comes to providing quality employment and entrepreneurship, which is highly dependent on the institutional frameworks regulating cooperatives, the legal status of young workers and worker-members, but also access to financial resources and user-friendly bureaucracy. CICOPA is the international organisation of industrial and service cooperatives and represents 65.000 worker, social and producers’ cooperatives providing 4 million jobs across the world. CICOPA currently has members in 32 countries and 2 regional organisations: CECOP – CICOPA Europe and CICOPA Americas.